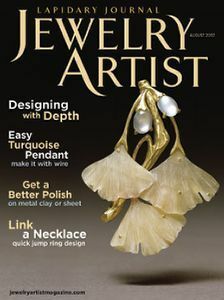 Jewelry Artist Magazine , formerly Lapidary Journal Magazine is the world's favorite gem, bead and jewelry arts magazine. Each issue of JewelryArtist Magazine features great articles on gemstones, artist profiles, the bead and jewelry arts and easy-to-follow workshops on jewelry making, gem cutting, and more. Also included in JewelryArtistMagazine are exquisite full-color photo spreads, the world's largest international gem show calendar and much more.